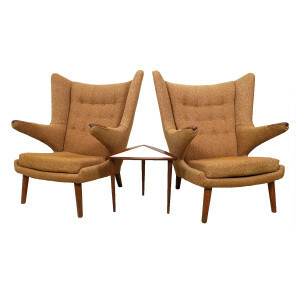 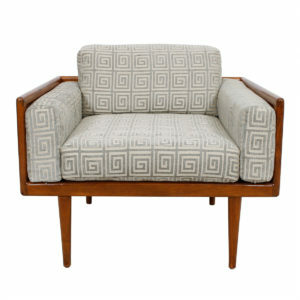 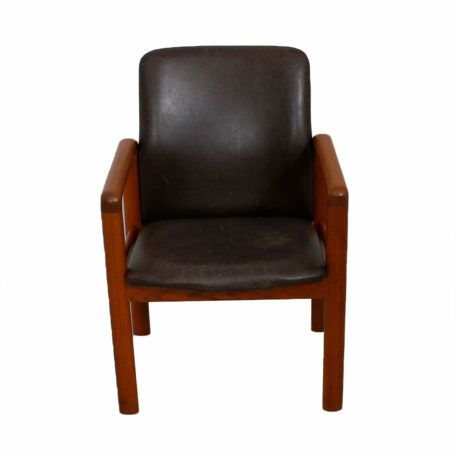 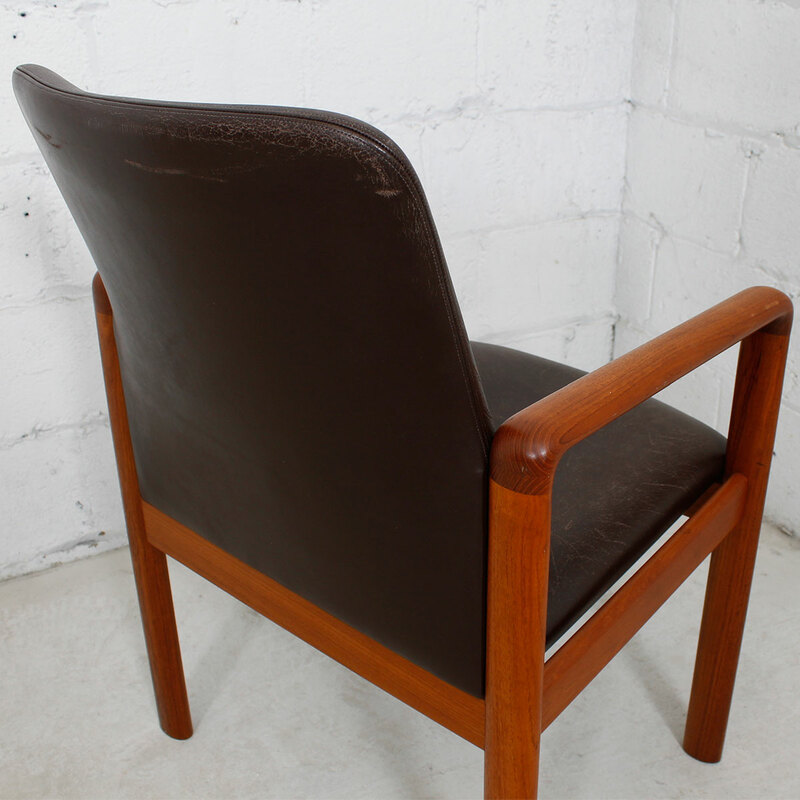 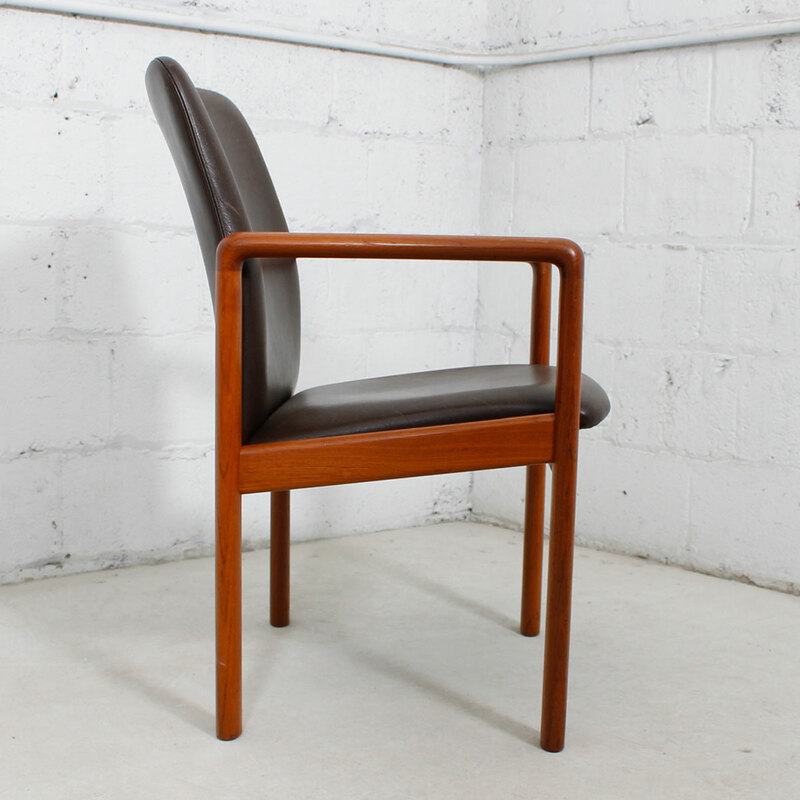 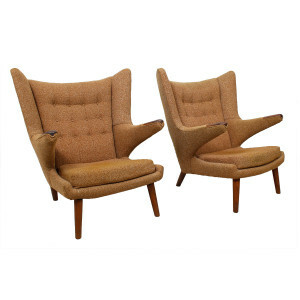 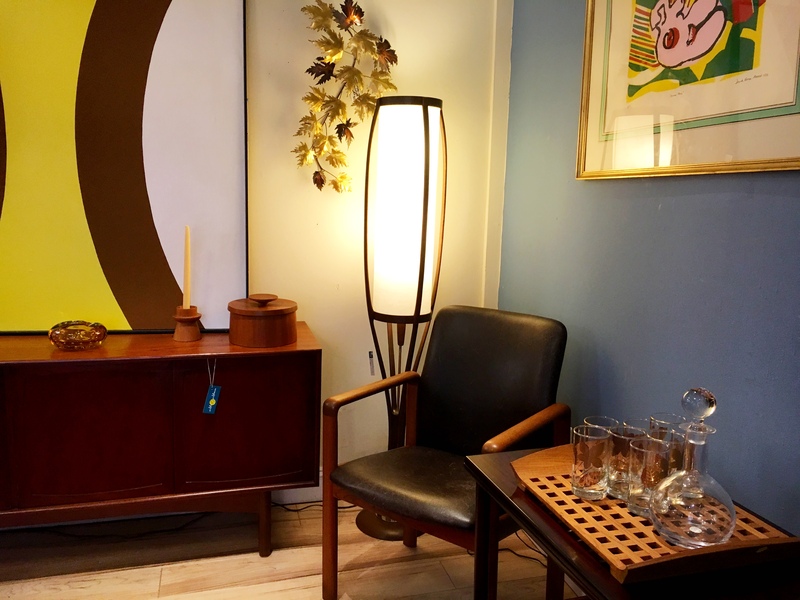 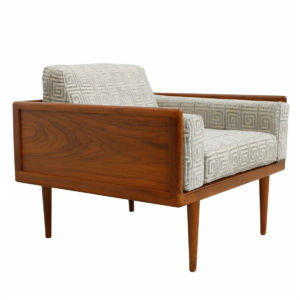 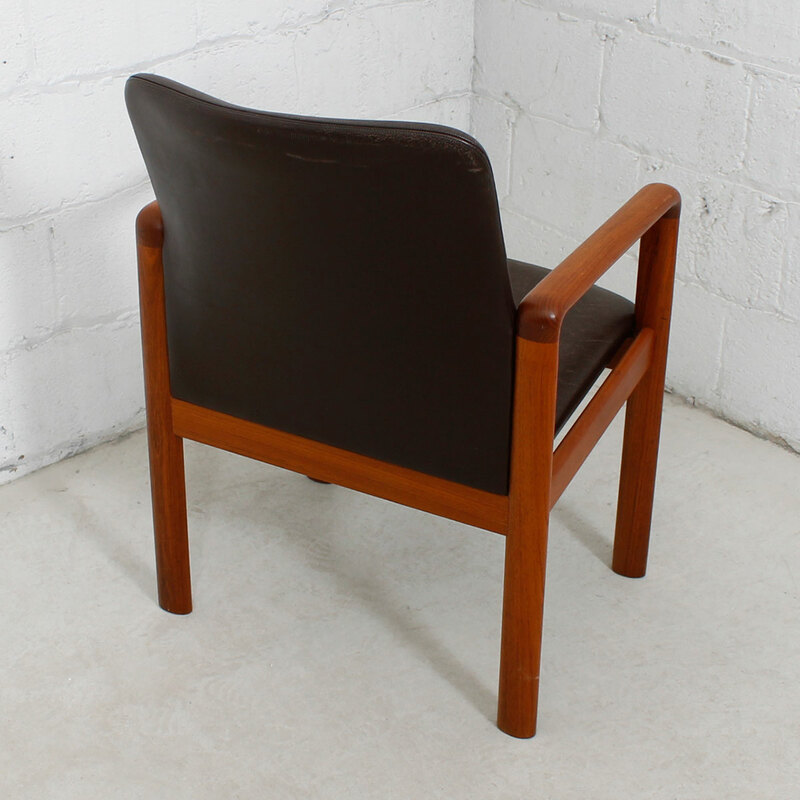 A thoroughly modern design combines with classic materials in this sophisticated Danish Modern arm chair, circa 1970. 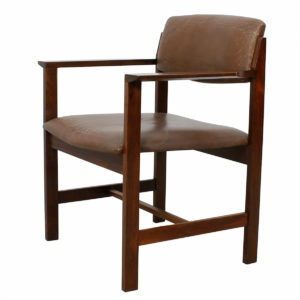 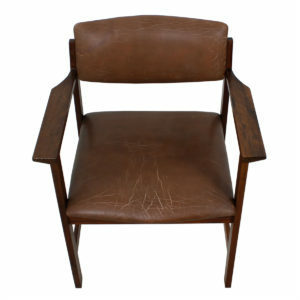 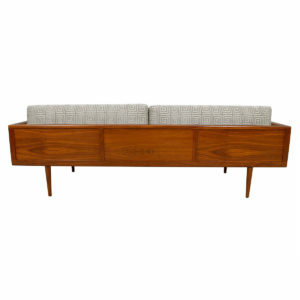 In profile, the minimalist design is apparent, the teak arms and legs forming a distinctive shape. 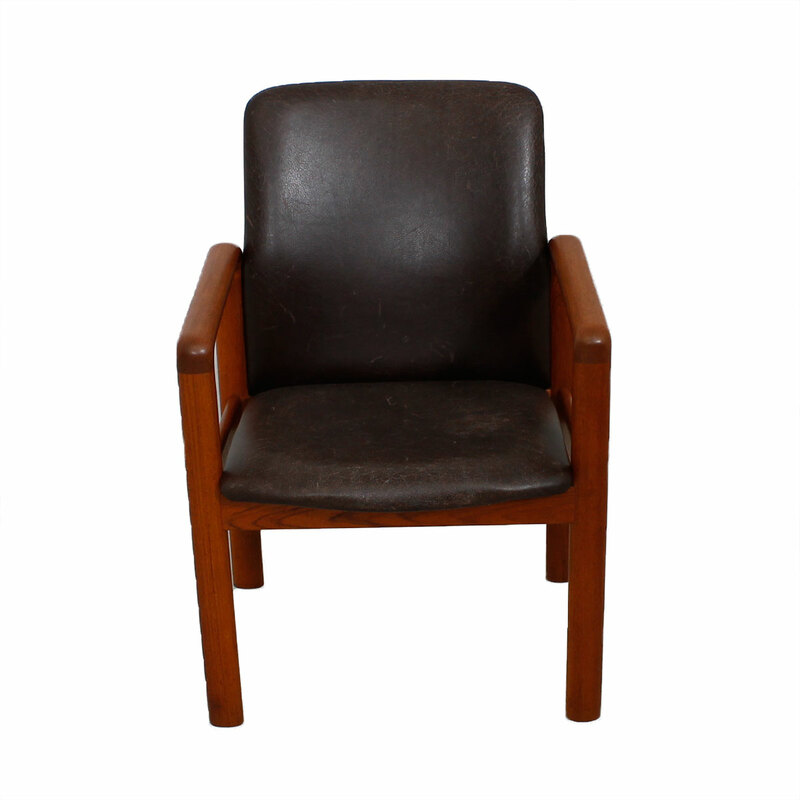 From the front and back, it appears to be an inviting arm chair with a comfortable demeanor and sumptuous, aged leather upholstery. 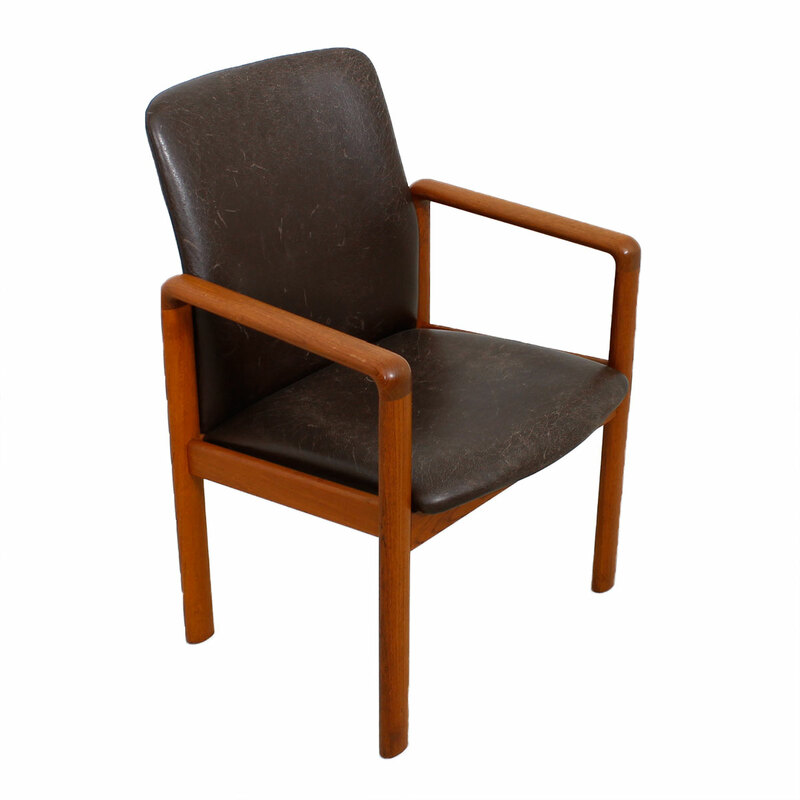 SKU: Ref#: 5293bf. 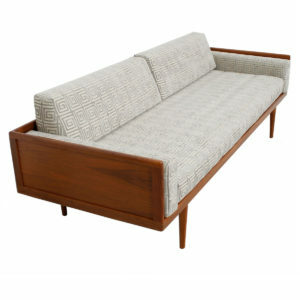 Categories: Seating, Lounge / Rocking, Other.